Empty Hats, the exciting quartet which includes Carl Asch, Gary Mazzu, Lynda Kavy, and George Klepac, with special Celtic Fling guests, Jimmy Torrey and Jim Hancock, has been entertaining audiences at Music Festivals and Faires all over the country since 1993. With 2 CD releases under their belt, Empty Hats, produces a rich and vibrant Celtic sound uniquely their own. These Canadian lads and lasses will have you begging for more with their quick comedy and even quicker feet. Their exhilarating show defies description and certainly brings a whole new meaning to the dance known as the “Highland Fling”. The Terrors exude a charisma and enthusiasm that leaves audiences smiling from ear to ear! This Irish Crooner blends his melodious voice with his dynamic work on guitar. 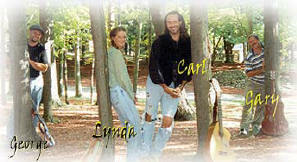 Jim excels on mandolin, acoustic bass and cittern. Your Irish Eyes will be smiling when you hear the songs of Jim Hancock! 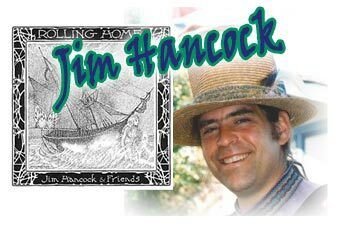 Jim Hancock, a founding member of the Burly Minstrels, longtime pickin' partner of Ky Hote, guest artist to: Cantiga, Celtic Stone, Minstrels of Mayhem, As You Like It, the New World Renaissance Band and Empty Hats. Steve Gillette, Michelle Shocked, David Amram, Brian Cutean and many others have enjoyed Jim's legendary ability to accompany and "jam" with almost anyone. You'll want to sit in the front row to witness the carryings-on of Cat O’Toole, Heather McBride, Skye Macleod and Iona McMann. 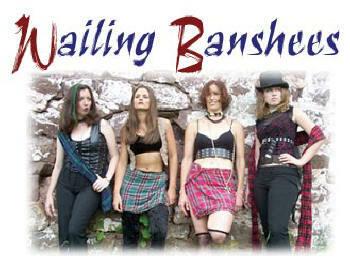 These “Wailing Banshees” entertain, amuse, and delight while rocking your kilt to and fro. 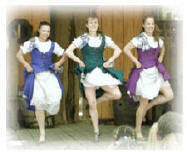 Among their song and dance routines are melodious odes to their favorite Fling fun...flirting with the men folk! We'll See You at the Fling in 2005!